The Great Buddha of Kamakura is a monumental bronze statue of Amitābha Buddha located at the Kōtoku-in Temple in Kamakura. 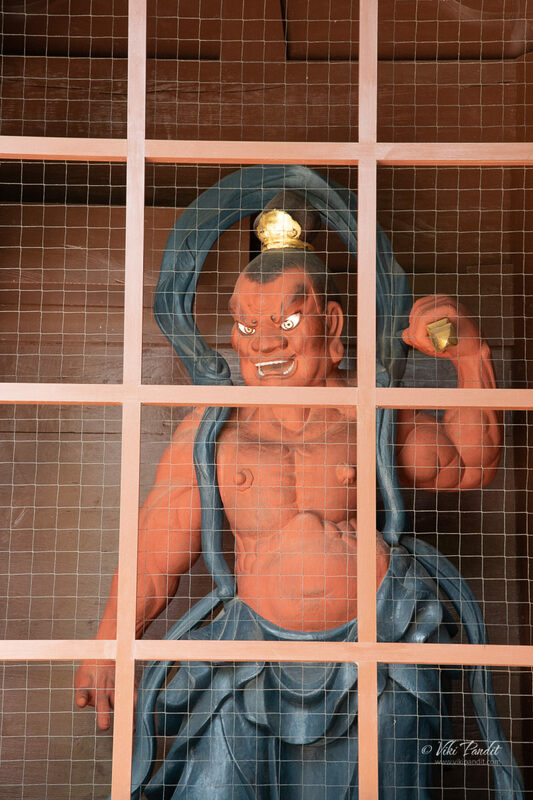 The bronze statue dates back to 1252 AD, in the Kamakura period. Today I went to visit the Great Buddha of Kamakura. 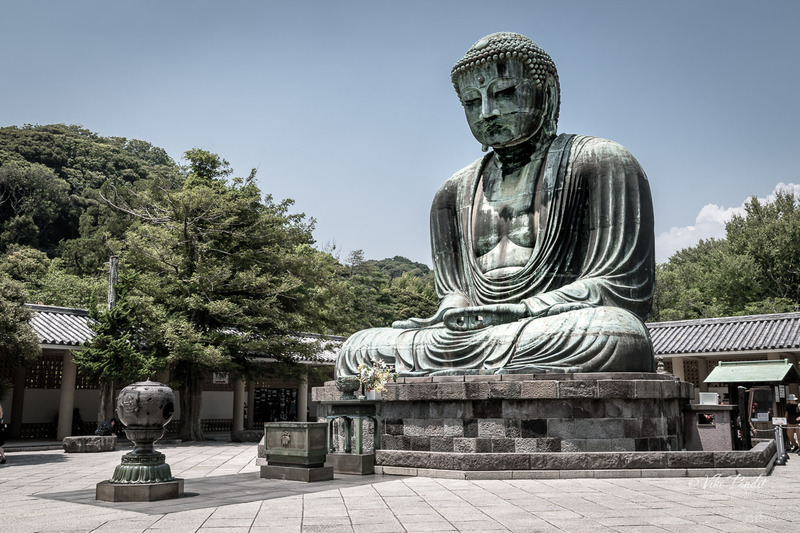 The Great Buddha of Kamakura is a monumental outdoor bronze statue of Amitābha Buddha at the Kōtoku-in Temple in Kamakura of Kanagawa Prefecture. 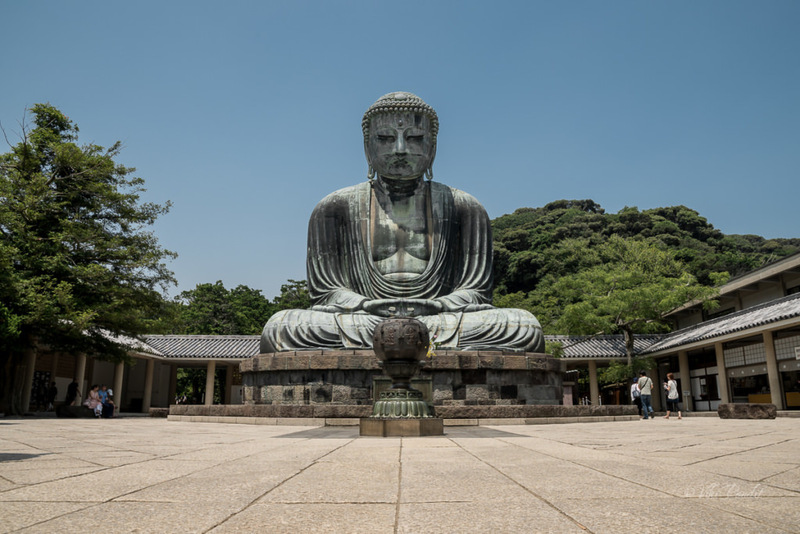 According to temple records, the bronze statue dates from around 1252 CE, in the Kamakura period. It is now designated as a National Treasure of Japan. 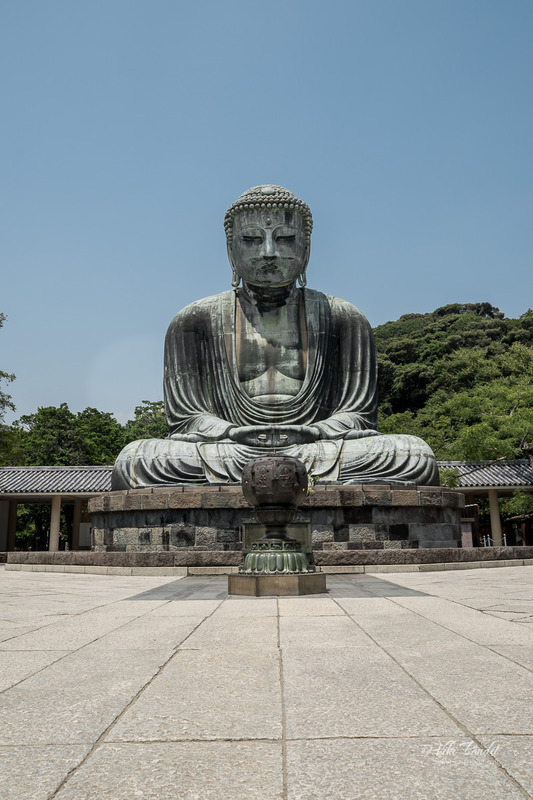 With a height of 13.35 meters, it is the third largest seated Buddha statue in Japan. 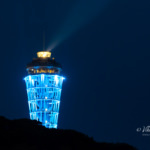 Showa Daibutsu in Aomori is the tallest at 2,135 meters. The most popular Great Buddha at Todai-ji in Nara comes second at a height of 14.98 meters. I still had my JR Pass with me. The train pass has been really helpful to me for travelling far without incurring much expenses. 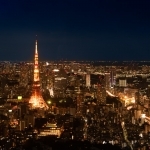 Nara is pretty far away from Kamakura – but armed with my JR Pass – still not too far away! The weather had been gentle in the last few days, though there was much haze around for any blue skies. I left my dorm early in the afternoon and walked all the way to JR Nara Station. From Nara Station I took the local line to Kyoto. From Kyoto, I boarded the Tokaido-Sanyo Shinkansen to Shin-Yokohama Station. 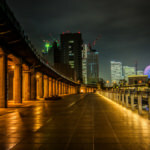 From the Shin-Yokohama Station, I had to take the local to Yokohama Station, which is about 4 stops and then to Kamakura Station. I had been in the area before, so even though I had to change many trains, I didn’t face any problems on the way. From Kamakura Station, I caught the Enoden train (a shortened form of the actual Japanese name “Enoshima Dentetsu”) that connects Kamakura to Enoshima and Fujisawa. The train looks more like a tram or a street car. You can buy tickets for the train at the ticket vending machine. 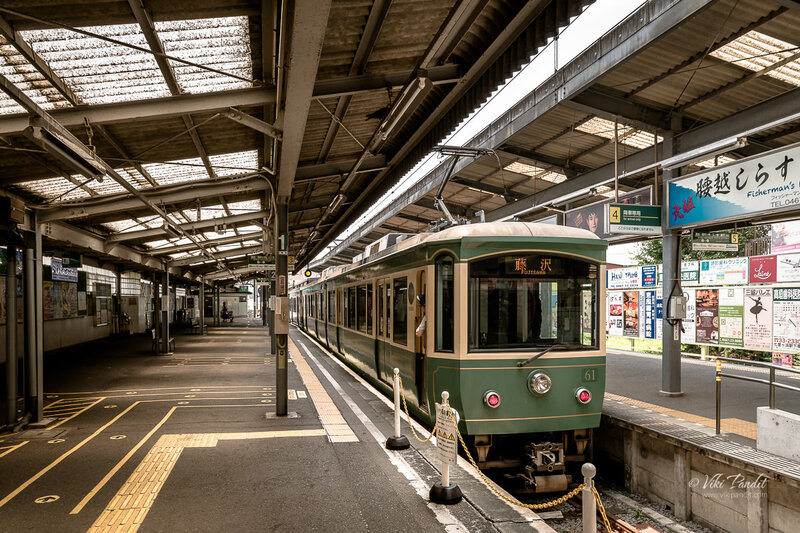 I have a thing for trains and it was incredibly nostalgic boarding one of the oldest train model during this visit to Kamakura. It was a Thursday and yet the train was fully occupied. I wonder what happens on weekends. I got down at Hase Station(pronounced Ha-say) , which is located closest to the Kamakura Daibutsu and Hase-dera. It is the most popular station on the Enoden line, and the busiest. At any day of the week, you will find a number large tour groups, making their way to the temple. Please note that the Enoshima Dentetsu line is not covered by the Japan Rail Pass. If you do take this ride, then you can purchase the one day pass which costs about ¥600. If you are only planning to go and come back, the single ride tickets costs ¥190 each way. Although people generally refer to it as Kamakura Buddha, the temple that houses the monumental statue is known as Kōtoku-in. It is a Buddhist temple of the Jōdo-shū sect. The temple is not very far away from the Hase Station. Buses are available from the Hase Station, but I generally prefer to walk over small distances. After a quick walk for about 10 minutes I found myself at the Niomon gate of Kōtoku-in. 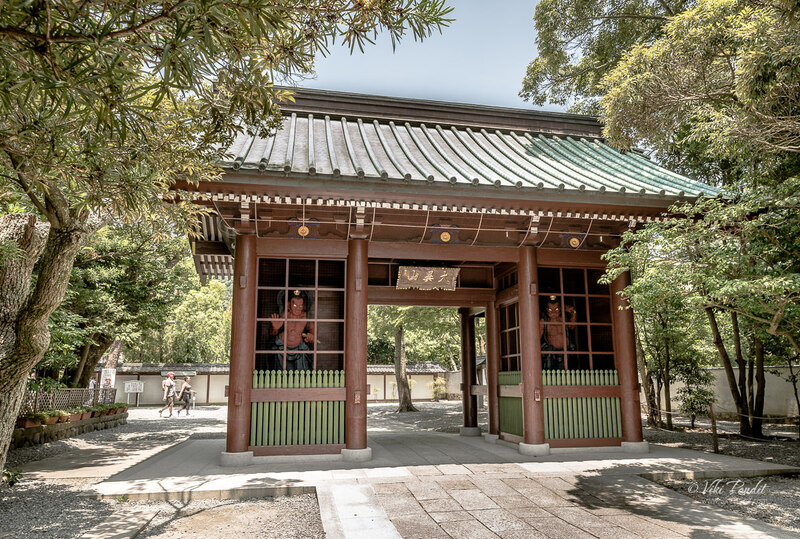 The temple gate holds a plaque inscribed with Kotoku-in’s official name “Daii-san.” The gate was moved together with a pair of Nio statues, enshrined inside the gate, from another location and rebuilt in the beginning of the 18th century. 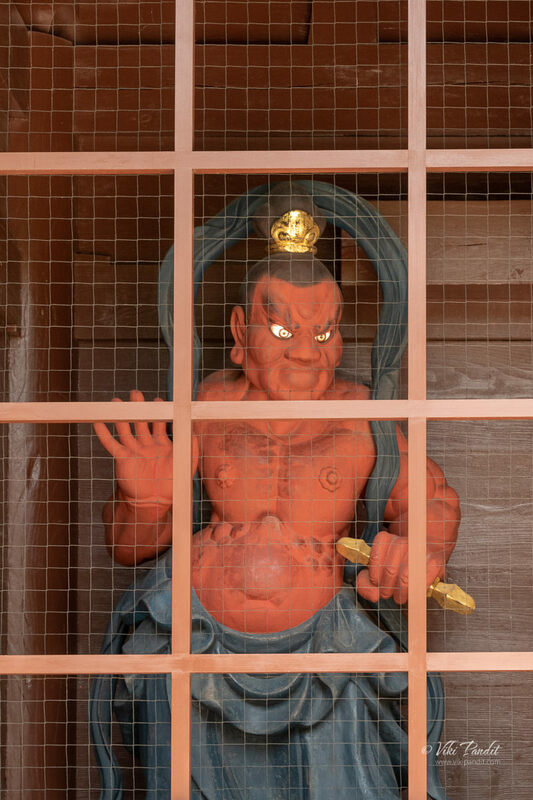 The Niomon Gate has two Nio guardians guarding the temple. If you like to read in-depth on Nio Guardians, please read my research on the aggressive looking temple guardians. A few steps inside you can find the ticket office. The admission tickets cost ¥600 per person. 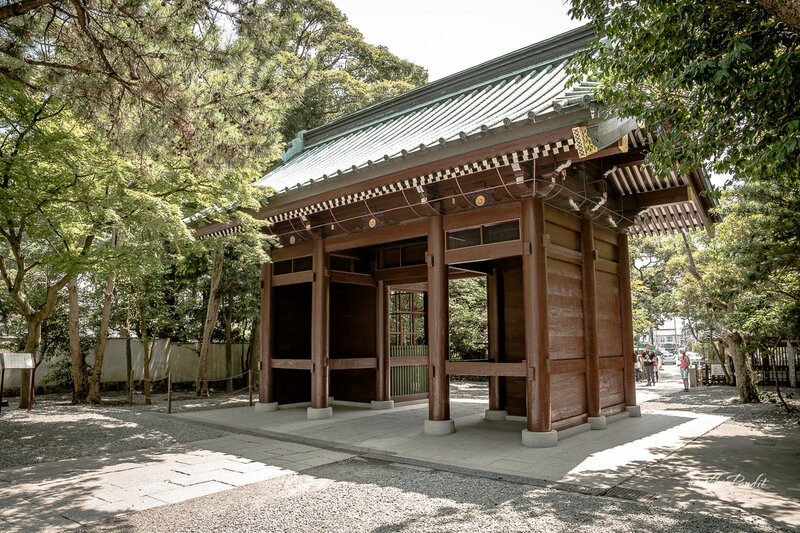 The first structure that you encounter as you enter the inner temple premises is the Chōzuya. A chōzuya is a Shinto water-filled stone basin for the ceremonial purification rite known as temizu. 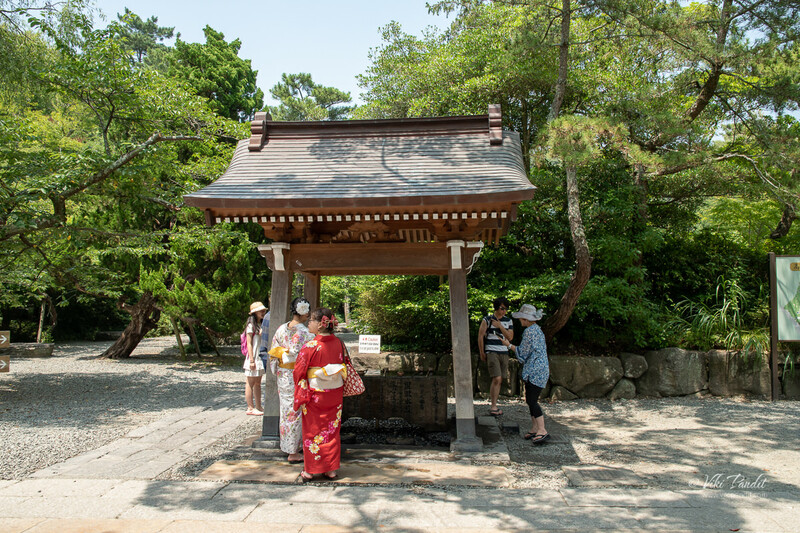 Wooden dippers are usually available to worshipers for washing their hands, mouth and finally the handle of the water ladle to purify themselves before approaching the main Shinto shrine. This symbolic purification is normal before worship and all shrines have this facility, as well as many Buddhist temples. After washing my hands, I went forth towards the monumental statue. 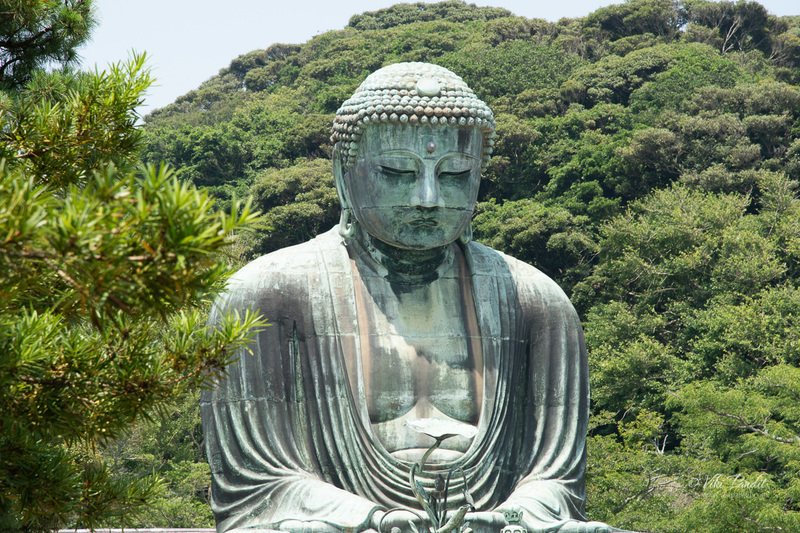 The Great Buddha of Kamakura (Daibutsu in Japanese) is a monumental outdoor bronze statue of Amida Buddha. Seated serenely in the grounds of Kotokuin, a Buddhist temple of the Pure Land sect, the Great Buddha is one of the iconic images of Japan. The current Bronze statue was preceded by a giant wooden Buddha. 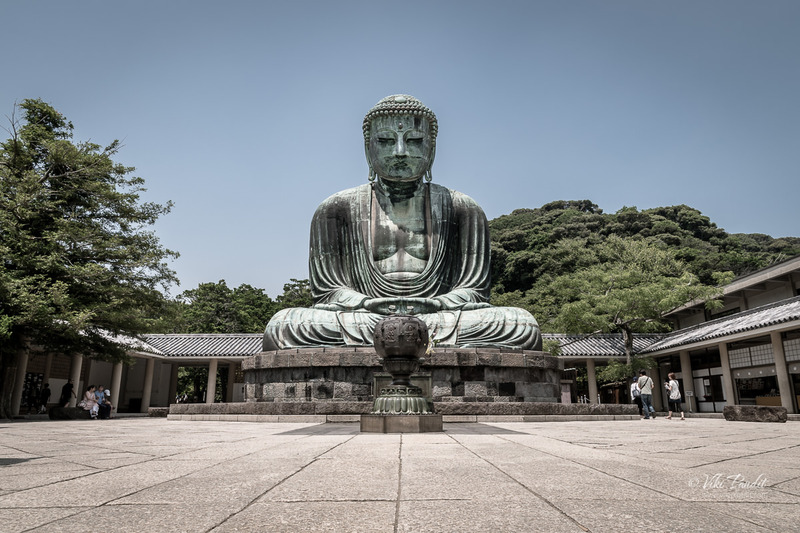 According to chronicles of the Kamakura shogunate, work on building the Great Buddha at Kotoku-in began in 1252, and priests from the temple gathered donations from the local population to help pay for construction. 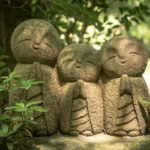 It was completed in 1243 after ten years of continuous labor, the funds having been raised by Lady Inada (Inada-no-Tsubone) and the Buddhist priest Jōkō of Tōtōmi. The bronze statue of Amida was cast in the mid-13th century, some decades after the nation’s political capital was moved from Kyoto to Kamakura by the then military regime, the Kamakura shogunate. 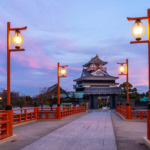 The military rulers of Japan embraced Buddhism and established many temples around their new capital to provide spiritual sustenance for the elite and the samurai warriors who served them. As per hearsay, the statue was probably cast by one Ōno Gorōemon or Tanji Hisatomo, both leading casters of the time. The bronze Buddha was originally covered in gold and housed in the Great Buddha Hall, or Daibutsuden, but the structure was damaged by typhoons in 1334. It was rebuilt only to be completely damaged yet again by another storm in 1369. The last building housing the statue was washed away in the tsunami of September 20, 1498 resulting from the Meiō Nankaidō earthquake, during the Muromachi period. Since then, the Great Buddha has stood in the open air. The Amida Buddha sits in the dhyana mudra. Dhyana mudra involves using a gesture where the hands are placed on the lap, the right hand on top of the left one, palms facing upward. In Buddhism, this mudra is dispalyed with the tips of the thumbs touching. This shape of a triangle represents the three jewels of Buddhism: Buddha, sangha (community) and dharma (teachings). The inside is a tight space and only a few people can cram inside to explore the tiny room, but it is full of extra tidbits on the construction and maintenance of the otherworldly structure — an experience definitely worthy of your spare yen. Some visitors have left graffiti on the inside of the statue. Behind the Great Buddha sit four bronze lotus petals. These were cast in the mid-Edo period (1603–1867) with the intention of creating a lotus pedestal for the Great Buddha. Though the original plan was to cast 32 petals, only four were actually completed. The donator’s name are inscribed on the front of each petal. The most recent up-gradation was undertaken in early 2016. On the inside wall of corridor to the right facing the Great Buddha rest a pair of huge warazori weighing about 45 kilograms each – a gift from the Matsuzaka Children’s Club of Hitachi-Ota City in Ibaraki Prefecture. 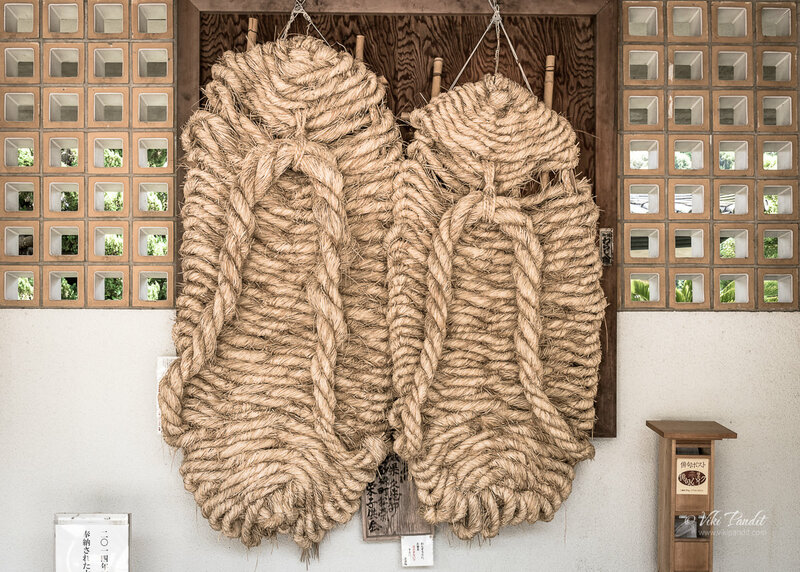 The warazori were first woven and donated by the children in 1951, at a time when Japan was still recovering from the ravages of World War II, with the wish that “the Great Buddha would don them to walk around Japan, bringing happiness to the people.” The Matsuzaka Children’s Club have kept this tradition alive to this day: since 1956, they have continued to make these giant warazori and present them to Kotoku-in once every three years. In the mid-19th century, artist Ando Hiroshige (1797–1858), who produced some of Japan’s most famous woodblock printed landscapes, paid homage to the image with a print, naming it after one of the later temple halls of the Kotoku-in, the Shojosen-ji. 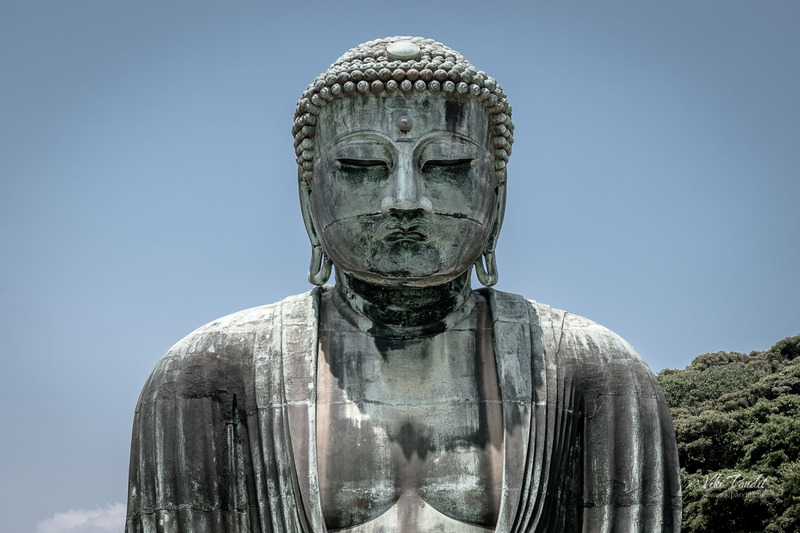 Later in the century, British writer Rudyard Kipling visited Japan and was so awed by the sculpture that he penned a poem dedicated to the Buddha at Kamakura. While walking back I caught this final image of the bronze statue that brings in millions of believers each year. Overall, it is a nice place to visit if you are looking to spend some time among old heritage structures. I would recommend that you visit the temple on weekdays. Weekends are extremely crowded. Thanks for reading. I look forward to your reviews and questions. If you are looking to explore more of the Kanto region, follow my story as I visit the Hase-dera Temple in Kamakura .